Peaceful country living in this elegant home surrounded by nature and privacy. Complete kitchen up-date is a cook's delight with Quartz Counter tops, Oversize farmhouse Sink, Stainless Appliances, Propane gas Stove with hood, Double ovens, hickory cabinets with beveled glass, and dishwasher with two doors. Living room open to the kitchen has a vaulted ceiling, gas logs fireplace & Solar tubes for natural light! Master bedroom has hardwood floors, with up-dated master bath having tile, walk in shower, double sinks and walk in closet with slider door. Split bedroom plan. 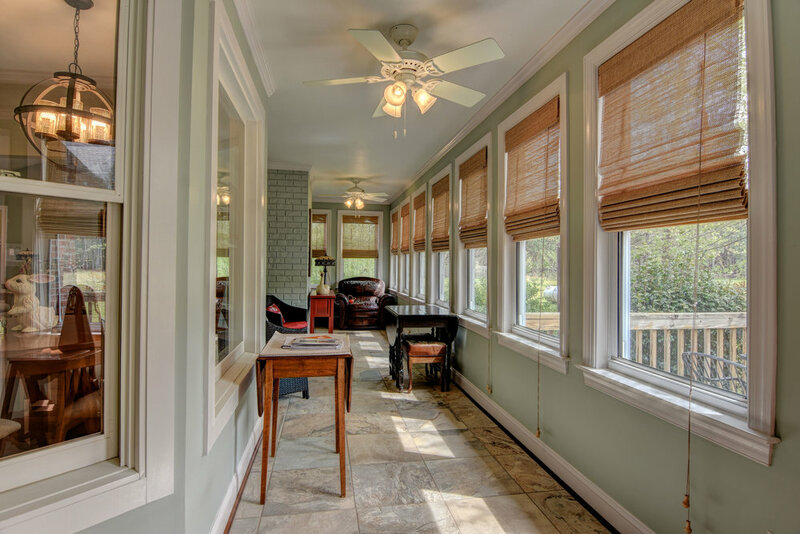 A Sunny Sun room for relaxing and enjoying the view! Crawl space is encapsulated. Up-stairs (no heat/air) has carpet and laminate for bedroom/playroom and is not counted in heated sq. ft. Out back is an insulated 30x40 wired shop/outbuilding with 2 roll-up doors utility sink, full bath and RV hook up. No city taxes and no HOA! Public boat ramp approxametly three miles past the property.